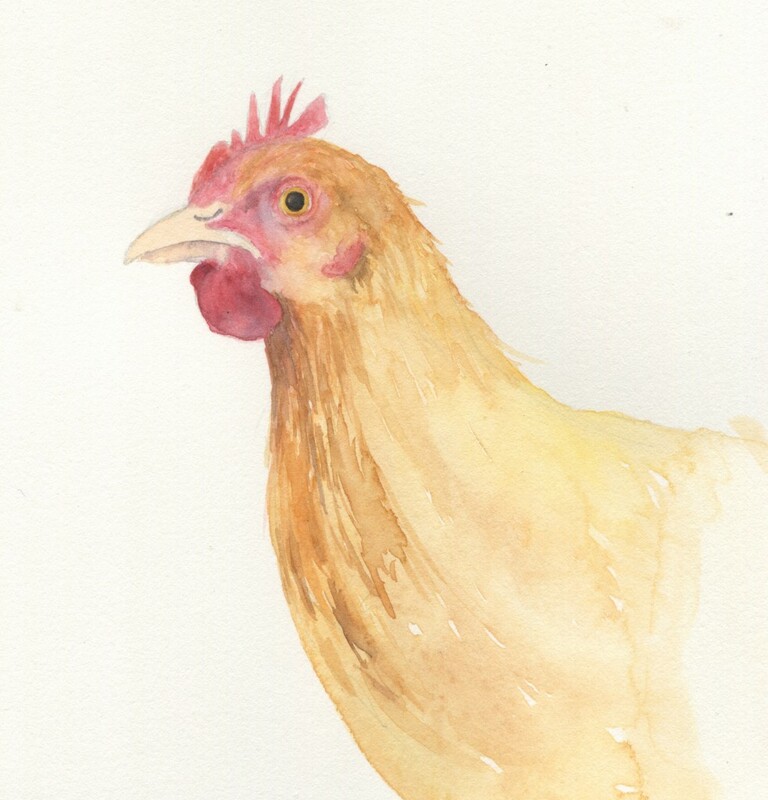 Here is the next installment of my In Progress Chicken study. 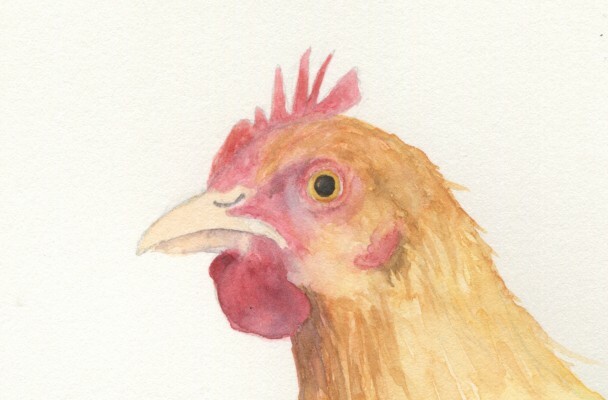 It’s been a very busy week and so I’ve been working on this watercolor sketch a little at a time. In the morning before I head off to work I might dab a little paint on and then rush out the door. Sometimes in the evening after feeding the chickens, fixing dinner, feeding the cats and doing general household upkeep I might head upstairs and dab a little more paint on. It’s a slow process but there is a benefit to working slowly. For one thing any flaws will become obvious as the painting takes shape. Another benefit to working slowly is that sense of pure relaxation that isn’t allowed to be in residence if you are rushing through a project. What I’ve done here is layer upon layer, building up the surface and creating texture. I’m working from a reference photograph so I can carefully examine my reference and then proceed with the paint. Once you’ve gotten to really know a subject you might be able to do a decent painting without leaning heavily on a photograph. But that will come in time. For now the reference is what I need to get it as close to “right” as I can – from eye to hand to paper.